"Loud, Fast, and Rude". Not only is that the way in which I want to live my life, but it is also the motto of Australian' blackened speed metal project Viölence. Lead by Dylan Potter (all instruments), with "MotörDemon" serving as the debut EP from this one man wrecking crew from the wastelands of hell(! ), Viölence seems to have shown up from out of nowhere! It was like one day there was nothing and then the next things I know is that this 5-track recording was showing up everywhere I looked. There's a damn good reason for that happening. While it's only an EP, "MotörDemon" is more than enough proof that Dylan Potter knows how to rock the dead back to life! 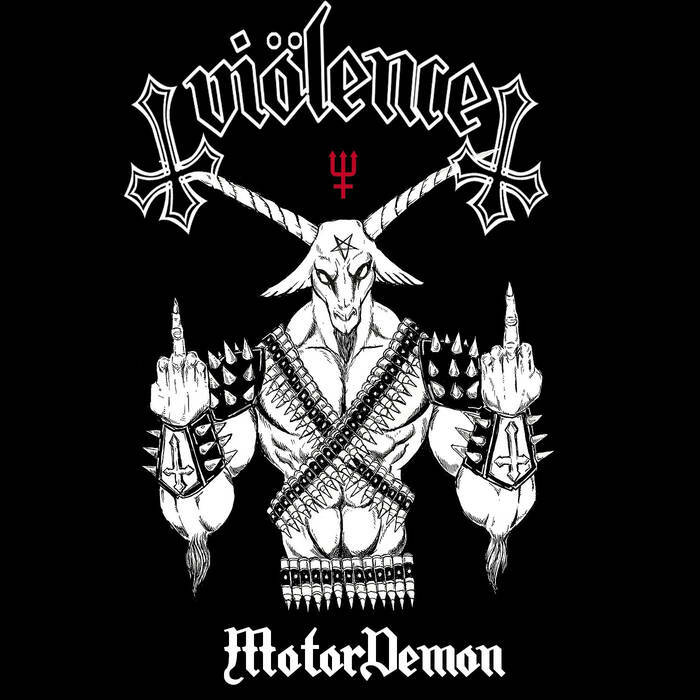 Without missing a beat, Viölence throws you wave after wave of sinister riffs that one minute sound like classic Venom and the next (early) Sodom! 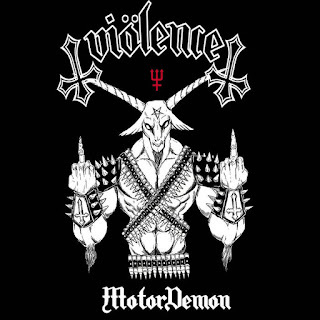 In addition to the godfathers of blackened speed metal, Viölence seems to pay homage to the underground side of the N.W.O.B.H.M. scene and quite obviously then, Lemmy. Fact is, "MotörDemon" is too good not to share. So, strap in tight and put your helmet on. This EP is going to be on hell of a ride!